Riding a motorcycle is fun but also very dangerous. It offers far less protection than vehicles and you can end up with serious injuries even if you get into an accident in which you weren’t the one at fault. According to the NCSA, motorcycle crashes led to 5,286 fatalities in the year 2016. In this blog, we highlight the common types of mistakes that lead to motorcycle accidents and what you can do to avoid them. Cars that make a left-hand turn in front of motorcycles represent the most common cause of motorcycle accidents. The accident happens when the motorcycle is trying to overtake the car, pass the car or attempt to go straight through an intersection. This type of scenario is also common amongst car crashes but prove to be far more dangerous for bikes due to lack of protection. Avoiding this sort of accident requires you to stay alert and anticipate the other drivers’ movement. A few indicators that someone will turn in front of you are: quickly looking both ways, a car wanting to turn at an intersection and a gap in traffic at the front. If you notice any of these signs, slow your motorcycle down and quickly pull away from the car and prepare to take evasion action. Car drivers are less likely to notice motorcycles passing by as their focus is mainly on the other cars. Also, keep a lookout for the drivers’ actions as sometimes they may be distracted by their phones or speaking to someone else in the car. · The driver turns their head to look at their sides. Head-on collisions are fatal for the motorcyclist in most cases. High-speed crashes mean that the cyclist has a split second to hit the brakes before crashing which usually results in them being crushed or catapulted into a hard object. Avoiding such collisions requires motorcyclists to read the road ahead, keep to the outside of their lane, and reducing their speed if they notice other vehicles acting in a strange manner. Always remember to wear a helmet and protective clothing as it might just save your life. 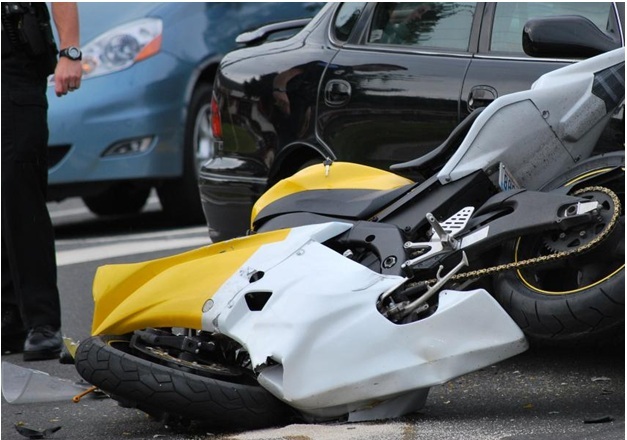 Bike crashes usually end up totaling the motorcycle or needing significant repairs. We offer cheap motorcycle insurance in Bradenton, Florida that’ll help your hog get back on the streets! Contact us today!